This chic 1 bedroom condominium is located in San Francisco’s coveted South Beach neighborhood. This beautiful unit features many upgrades, including bamboo floors, customized shelving and maple finishes. As one of the larger 1 bedrooms in the building, this condo boasts higher ceilings and a great floor plan. There is also a washer and dryer in the unit and one assigned parking spot. In addition, The Baycrest building offers many luxurious amenities, including a sauna, tanning bed, racquetball courts, gym, courtyards, heated outdoor pool, BBQ areas, 24 hour security, and Location!! Location!! Location!!!! Walking distance to Embarcadero, Ferry Buiding, PacBell Park, Downtown, and many of the city’s finest shops and restaurants. One pet (20lb). Unit is subject to some Mayor’s Office of Housing Rules. 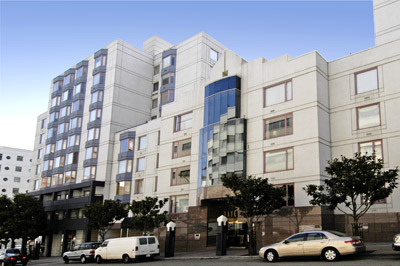 Escrow opened with First American Title #1841561, on Lombard Street Disclosure Package Available.